Previously on Doctor Who: Death in Heaven. Life — you know, that thing that happens when the Doctor’s not there to fix it. I had my own bit of Life in 2015, and it wasn’t going so well. Hence, I scaled back my usual blogging activity and treaded the Whoniverse more or less incognito. But now, it’s 2016, it’s a fresh start, and I do still love this idiot travelling in a box. 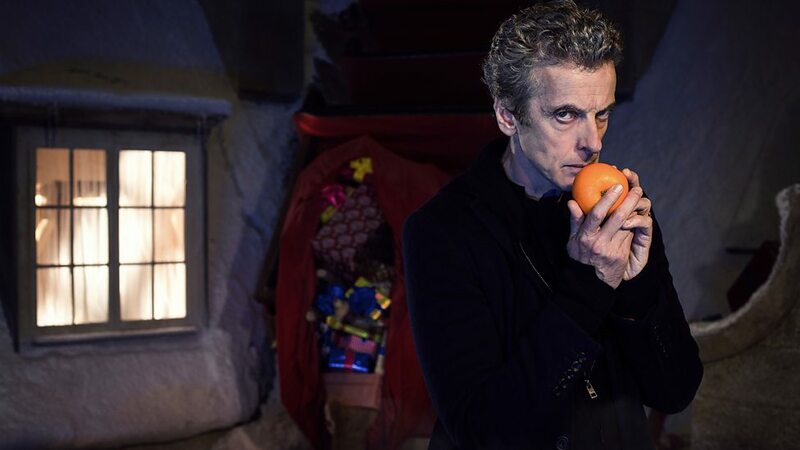 So I’ll use the good old tradition of Throwback Thursdays to blog about Series 9, Clara’s exit, and Peter Capaldi’s second year as the Doctor. In this case, I know I am horribly late to the party, but do indulge me — we’re travelling back to 2014, and Peter and Jenna’s first Christmas Special together. Last Christmas. Speaking as a plot detective, one might also call it The Curious Case of Suspending Disbelief for Strange Men Distributing Gifts. The thing is, I actually found myself blinking twice at the appearance of Santa as the savior, and all throughout. Which made me ask myself: why do I have more trouble believing that everyone would choose Santa as the one who saves the day, than a weird space alien travelling the universe in a police public call box from 1963? Perhaps it is because I really don’t believe in Santa anymore, and because stupid people on the Internet spend Christmas time yelling “Santa Claus was white and I need snowflakes on my f***ing Starbucks cup! !1!”, I don’t know. I do, however, believe in the Doctor, in the way one believes in fictional characters who actually make it a point to believe in humanity. And yet, that never stopped me. If this were four Who fans stuck in a bad dream and they’d all conjured up the Doctor to save them, now that I’d believe. 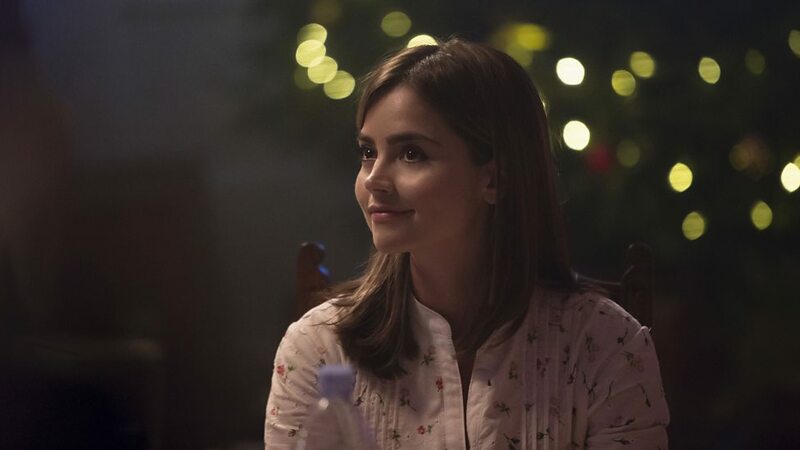 That timey-whimey bit at the end — after thinking about it a bit, I guess that first try at waking her up was the final part of Clara’s own dream, so Santa did not actually turn back time to let the Doctor wake up again. That’s the only way it makes any sense. I mean, the Doctor did say that those things could have gotten to them in different timezones, during different parts of everyone’s life. This made it plausible for Clara to be old, but it doesn’t make sense for him to get his second chance, to rewrite time so that she wouldn’t end up waiting for him for so long. Knowing that Clara would return as a regular companion, so just going back to her young self in the next episode would overwrite this little gem of a scene. I don’t know. I liked that, to the Doctor, Clara will always be Clara, no matter if she’s old, because she’ll always be his Clara — then again, to signify a good heart with outer youth and beauty is a bit… iffy. I’m a bit ambivalent about this scene, even though it sends the lovely message that the Doctor won’t discard you or forget you just because you got old. And, bam, Clara’s travelling with him again. I was so happy that they got the lies out of the way right at the start. She lied so he’d go home, back to Gallifrey, and be happy; and he lied so she could be happy with Danny. They both lied to ensure the other’s happiness over their own, and the quiet way in which they admit this to one another is really very important. It’s also very, very well acted by Jenna and Peter, who play their emotional connection with such a wide range. They can be euphoric, they can be at each other’s throats, they can be teasing, but they can also be so, so quiet, and they can say so much with just one word. When the Doctor risks his life in the dream to get Clara out of her dream of Christmas Day with Danny, Clara opens the door, and all they say is, “Hi.” That one word encapsulates so much, it’s what are you doing here, why won’t you wake up, and I missed you, all rolled into one. I also really liked that dream!Danny cottoned on so quickly and helped the Doctor in waking Clara up. Instead of trying to keep her inside the dream — as one would expect, because the dream protects itself — he urges her to keep on living. She’s allowed to miss him, but she has to keep living. Five minutes a day, to think of him, to miss him, to give herself time to grieve, and then to move on, because that’s what he’d want. I like Danny. 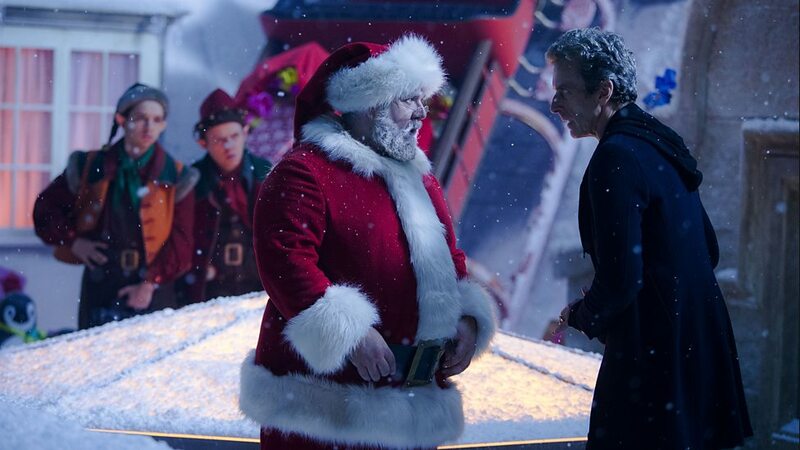 I’ve always believed in Santa Claus, but he looks a little different to me. In the end, Clara just hops back into the TARDIS with him, and I wonder whether he’s going to explain it to her, what happened. I mean, she does ask if she’s young again, so she must remember that final dream, but didn’t the Doctor say they probably won’t remember? The others didn’t, after all. Eh, timey-whimey. Or just a Christmas miracle. Either way, they said their goodbyes in Death in Heaven, and I’m not sure that Clara would just run away with him again if she didn’t remember that he’d lied, too. All in all, a slightly bonkers Christmas Special — a bit of a weird one, not with some big threat like the Space Titanic crashing into Buckingham Palace, but almost small by comparison, with some touching moments and some over-the-top ones. Not Moffat’s best, but I still enjoyed it, watching it again a year later. A little odd this one. But the more I watch Capaldi as ‘The Doctor’ the more I forgive Moffat and the inconsistencies. Also, I really took to the scene with Clara and The Doctor clearing the air. There was so much love in that scene between the two of them. The honesty of heart in their lying to one another was touching. I’m so glad you say that! It was one of the high points of the episode for me. For all that Peter’s Doctor is (supposed to be) very unknowable and alien, his affection for Clara make him very accessible. And Peter never holds himself back in these scenes, which is what I love about him. Jenna is bringing a whole new depth to Clara in Series 9, so that’s brilliant, too. Yes, I really love their chemistry as well.